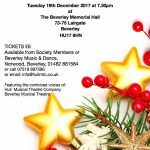 Christmas Carol Concert, Beverley Memorial Hall, 7:30pm Tuesday 19th December 2017. 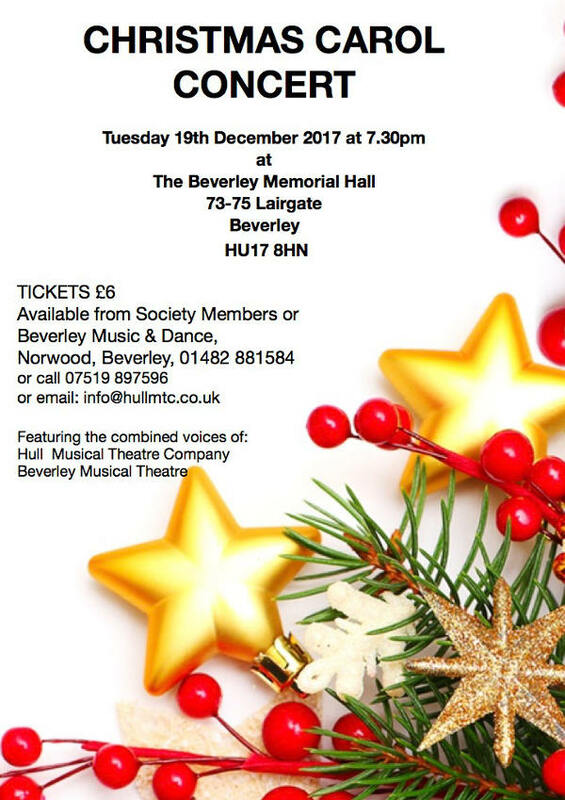 Featuring the combined voices of Hull Musical Theatre Company and Beverley Musical Theatre. Tickets: £6 available from Society Members. Wednesday 26th November 2014 9:30 am – 5:00pm Beverley Memorial Hall Lunch included. 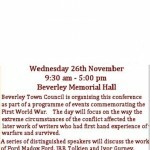 Beverley Town Council is organising this conference as part of a programme of events commemorating the First World War. The day will focus on the way the extreme circumstances of the conflict affected the later work of writers who had first hand experience of warfare and survived. It will examine the shifts of style, content and attitude that emerged in the poetry and fiction of the post war period, taking in the topics of sanity, modernism, disenchantment and the end of romanticism. A series of distinguished speakers will discuss the work of Ford Madox Ford, JRR Tolkien and Ivor Gurney, placing them in a wider literary landscape of the time. There will also be contributions linking literary concerns with those within visual art and, given the traumatic nature experience in the trenches, an exploration of developments in psychiatry around this time. 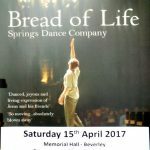 The day is aimed at the reading public who want to find out more about the literature that came out of the tragic events of 1914-18. Most recognise that the Great War was a catalyst that radically accelerated changes in British social conditions. Fiction and poetry was also changed; by writers who had served as soldiers. By taking account of their achievements, we are ‘remembering’ the Great War, and the way it altered how we see ourselves in the modern world. Poet and editor, John is well known in the area as organiser of the Beverley Literature Festival and Bridlington Poetry Festival. He is a lecturer in the English Department at Hull University. Andrew’s research is in the field of cultural and literary history and he has made a particular study of writers’ responses to the conditions of the war. His Writing Disenchantment: British Prose 1914-30 will be published later this year by Manchester University Press. John is a freelance journalist, writer and researcher. His book Tolkien and the Great War; The Threshold of Middle Earth, was praised by A N Wilson as ‘the best book about Tolkien that has yet been written’. Sara’s interests include Modernism and the literature of the First World War. Her research focuses on the writing of Ford Madox Ford and she has edited vol 3 of Ford’s Parades’ End trilogy, A Man Could Stand Up. She teaches at the Open University. Kate, who teaches at Cambridge University, has published numerous papers on the music and literature of the First World War and is the author of Ivor Gurney: Poet, Composer (Oxford), which came out last year. She appeared in a recent BBC TV programme about Gurney. Chris is based in Queen Mary’s ‘Centre for the History of the Emotions’. He works on aspects of the history of psychiatry and issues of mental health. He is interested in the shift in perception and treatment of psychiatric problems that can be linked to the 1914-18 conflict. 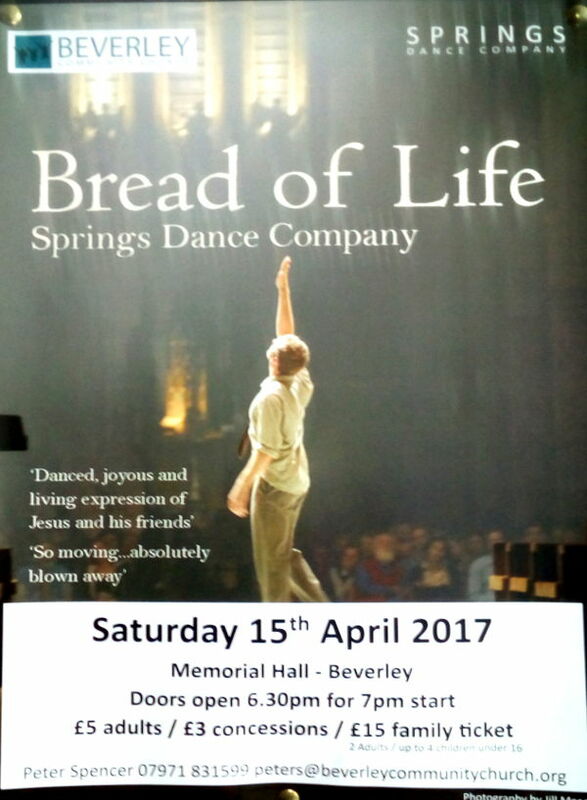 A member of Beverley Town Council, David was formerly Head of the Painting School at Manchester Metropolitan University. He is a practising painter and writes art criticism from a modernist point of view. Tickets (available from September 15th) can be obtained from Beverley Town Council, 12, Well Lane, Beverley, HU17 9BL and Beverley Tourist Information Centre, 34, Butcher Row, Beverley, HU17 0AB. 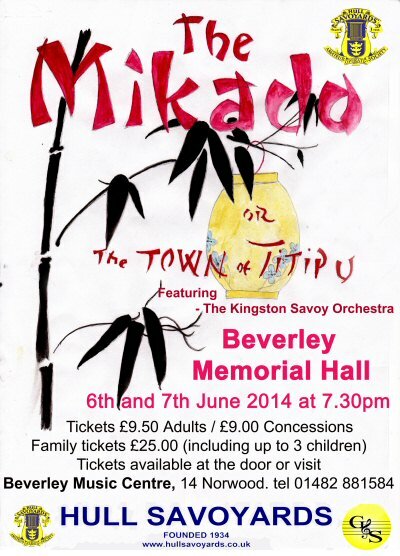 To pre-book tickets send payment to Beverley Town Council at the above address. Please include e-mail contact address for acknowledgement. 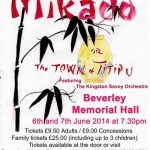 The Mikado a comic opera satirising British Politics and Institutions, by Gilbert & Sullivan. 6th & 7th June at 7:30 pm.